It has been around four-year that Nissan gained eyeballs by sharing its Juke R and Nismo Concept. The sportive concept won numerous accolades, but wait!! 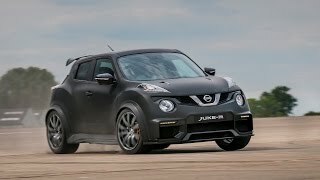 That wasn’t the end, company at the 2015 Goodwood Festival of Speed shared its powerful and aggressive Nissan Juke R 2.0 Concept 2015. The model feature iconic styling and stunning power to rumble the streets. Let us have a look at the review of Nissan Juke R 2.0 Concept 2015 to know more about it. Nothing much has been shared in context to the interior details of Nissan Juke R 2.0 Concept 2015 but, expect set of sports seats with harnesses mounted in front of the three spoke multifunction steering wheel. Looking at the images shared we can also say that there will a small screen (probably and logically a touch screen) mounted over the dashboard amidst the vertical A/C vents. Beneath the screen is your center console with major control mounted with the gear lever is housed in the center of a new design that makes it looks sportive. The model also comes with GT-R’s telematics system. In all rounding up the interior details of Nissan Juke R 2.0 Concept 2015 (those we have) I would say the new black headliner and the sportive design work with that red needle and lights coming through the instrument panel looks great. The exterior of Nissan Juke R 2.0 Concept 2015 isn’t just about sportive looks but also has been created to contribute to the performance. Starting with the front fascia it has new fenders and headlights while the rear end comes with a new carbon-fiber bumper with exhaust cowlings and a visual carbon diffuser. Above the rear gals is a pair of new carbon fiber winglets while the wheel arch flares too come molded in carbon fiber. The trend doesn’t stops here and carries its mark till the side sills and hood ducts. 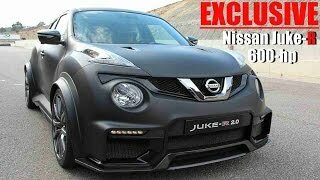 In all talking about the exterior details of Nissan Juke R 2.0 Concept 2015 I would say apart from its excessive use of carbon fiber the model also gets positive inclusions with some commendable new design elements. 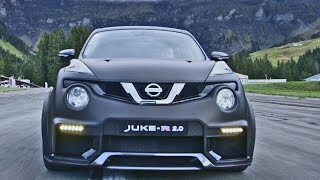 Though not enough details have been shared regarding performance of Nissan Juke R 2.0 Concept 2015 but yes we do know that, beneath the hood will be a 3.8 Liter V6 engine cranking total output of 600 hp. 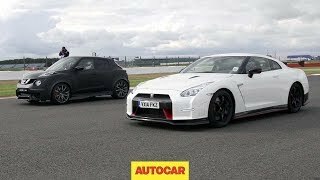 The increase in power will surely give a hike to the performance figures and the top speed of Nissan Juke R 2.0 Concept 2015 in comparison the predecessor model, making it more powerful.